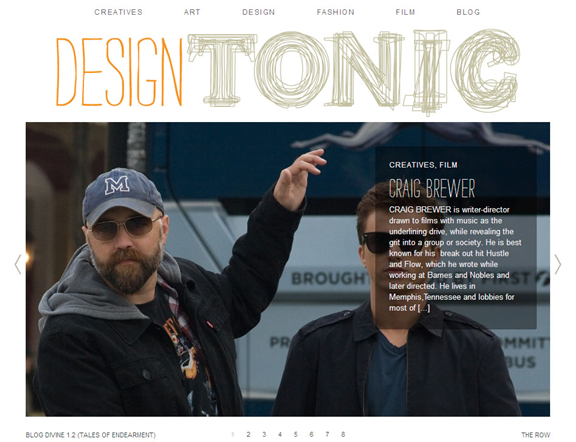 I'm proud to say that I'm officially a contributor to the new online magazine Design Tonic. They cover all things creative including film which gave me the opportunity to interview local but now internationally known filmmaker Craig Brewer. He was gracious enough to talk to me about his love of film, his creative process, and the challenges of remaking Footloose. Take a read here and go support his movie Footloose still showing at the Malco Studio on the Square. Special thanks to Autumn, Erin, and Craig. Photo courtesy of Erin Hagee/Craig Brewer.